This is a contemporary Cape-style home that takes advantage of a sloping lot to accommodate a one-car, drive-under garage. 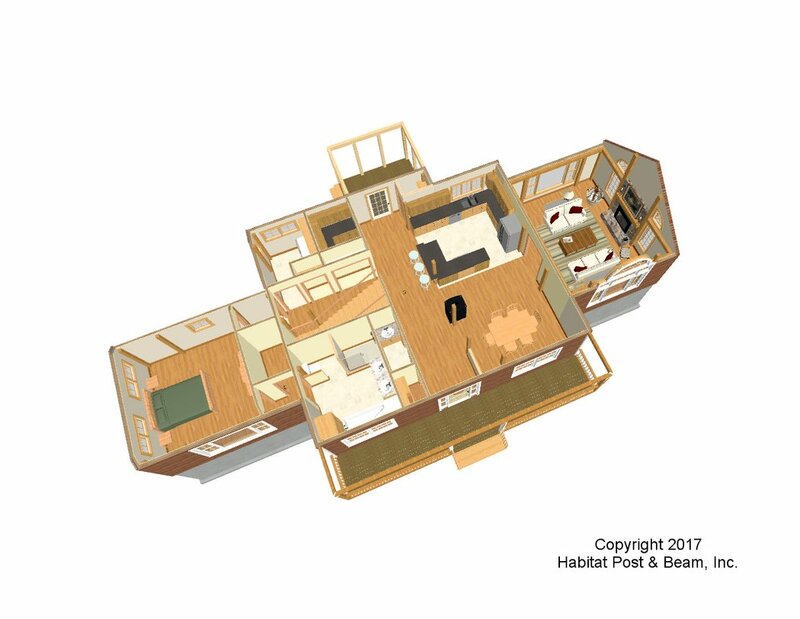 The main level is about 1700 s.f., and the center section housing the kitchen, dining, laundry, pantry, half-bath and master bath are all under a beamed flat ceiling (Beamed Mid-Floor System http://www.postandbeam.com/floor-framing-system). The left side ell is the master bedroom suite, and the right side ell is the living area with a fireplace. Both ells are under a beamed cathedral ceiling (http://www.postandbeam.com/roof-framing-system). To the back side is a small three-season porch under a cathedral ceiling. 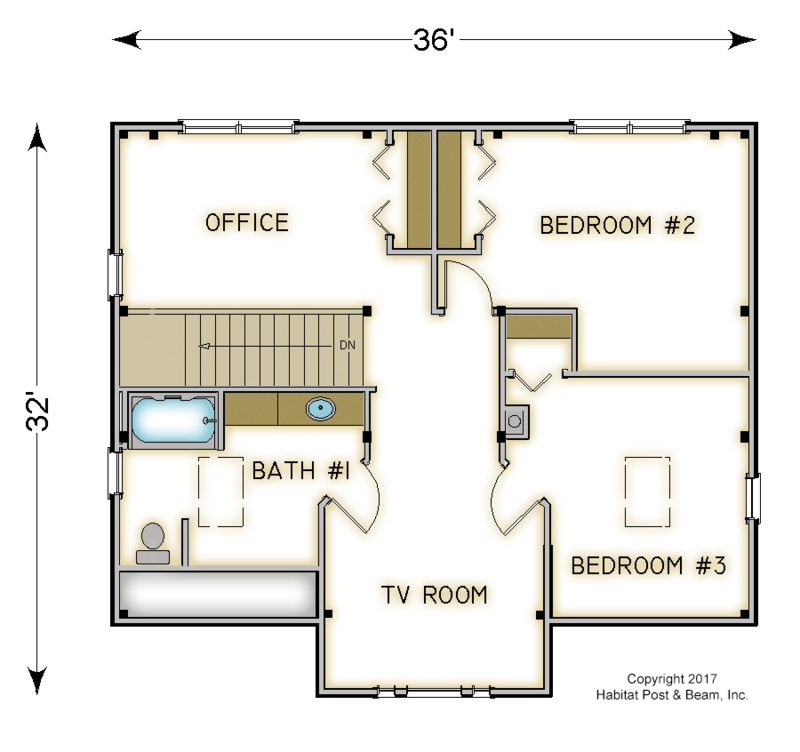 The entire lower level has a Full Exposure Wall Framing System (http://www.postandbeam.com/wall-framing-system). The upstairs 1100 sq. 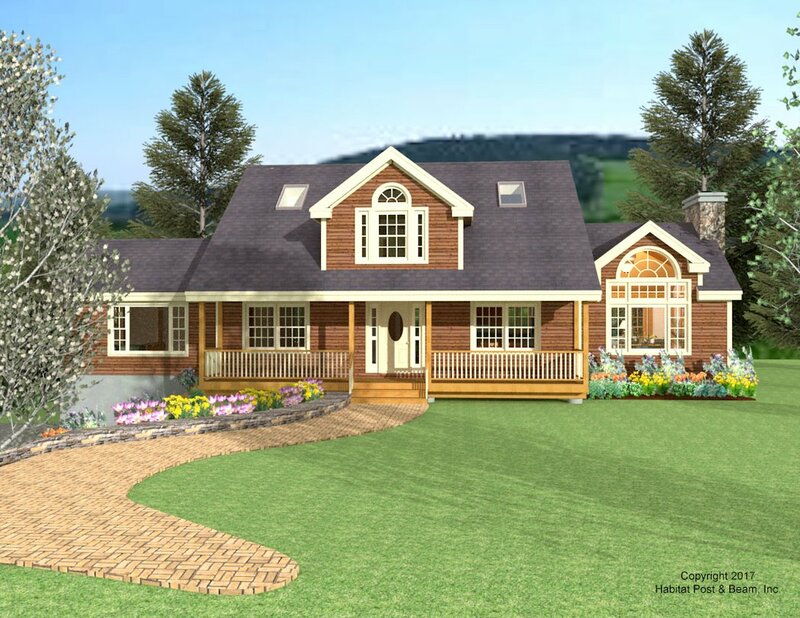 ft. are for two additional bedrooms, a full bath, a multi-use room currently designed as an office, and an entertainment nook tucked into the front central dormer. The entire upstairs is under a conventionally framed ceiling. 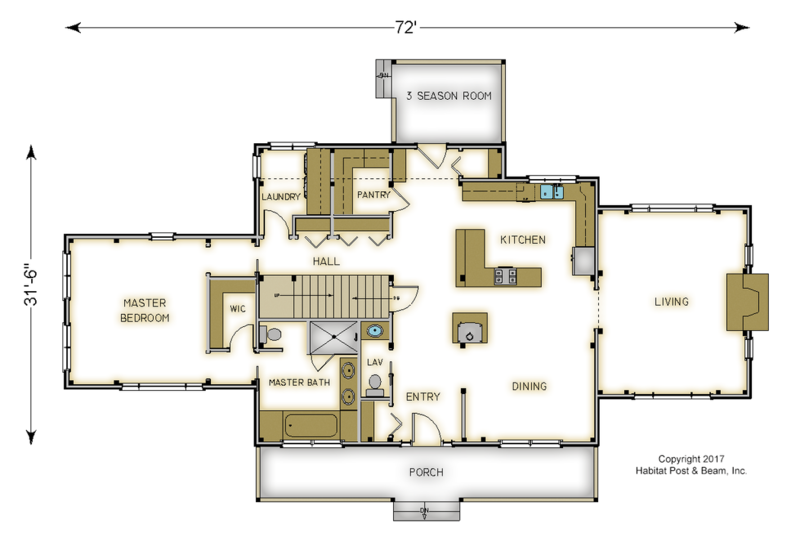 Package Price: $218,500 as specified below (from $193,000 to $246,000 depending on framing options). 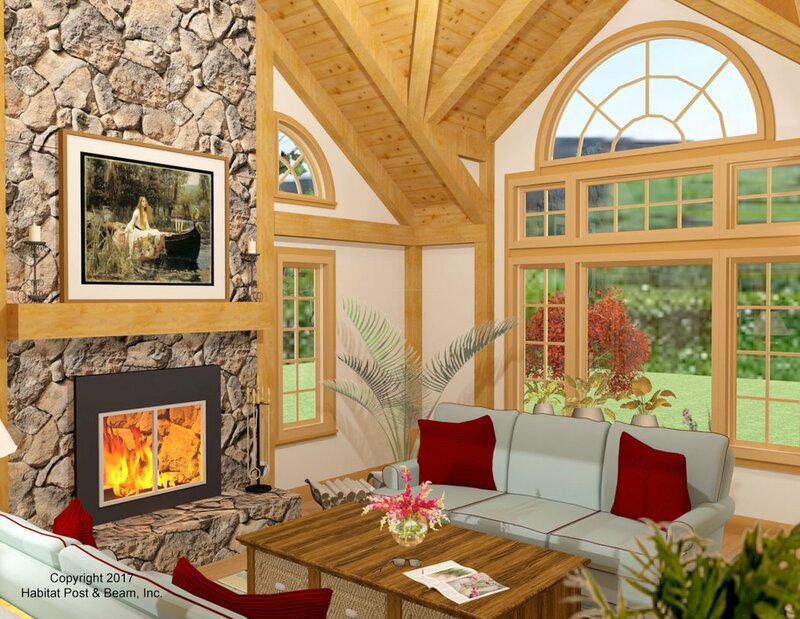 The standard price includes our Full Exposure Wall System, Plaster and Beam or Beamed Mid-Floor System (same package price), our Beamed Roof System over living and master bedroom, and our Plaster and Accent Beam Roof System with flat ceilings over the upper level. The entry porch and 3 season room are our Liner Porch System.